In this chapter, we will see the Important Gk Questions of SSC LDC Exams. This will helps you to know about the Questions pattern as these all are previous year gk questions. 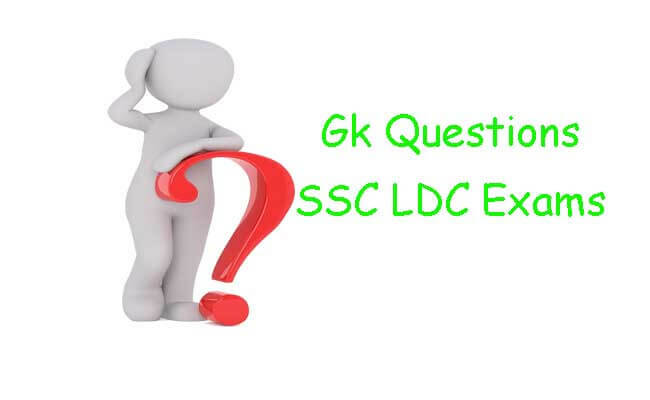 Let's Start "Important Gk Questions of SSC LDC Exams"